Ensure that the last drop of water is as great as the first with the Hydros™ filter water bottle. Traditional filter water bottles can take up to 2 minutes to filter, the Hydros™ filter water bottle, with its patented Fast Flow Filter™ fills your bottle in less than 15 seconds so you can keep moving and stay on the go. In addition, Hydros’ filter water bottles feature a side-fill water port makes it even easier to fill your water bottle. 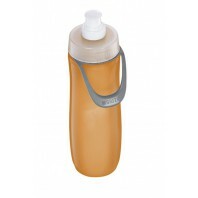 Simply give your bottle a 30-degree turn to the left and your ready to fill up. However, Hydros™ is more than just a water bottle, it’s the movement to fight the global water crisis. By purchasing a Hydros™ water bottle, you not only get a filter water bottle, you make a difference in the lives of people around the world and give them access to clean water, because part of the proceeds from each Hydros purchase helps fund sustainable water infrastructure projects. Order yours today.